As we bundle up against the first real cold snap of winter, we're also counting down to the start of ski season. Utah's Park City is a family pick for its easy access to three resorts and raft of top kid-friendly hotels. Writer Kim Fredricks shares her take on ski-in/ski-out favorite, St. Regis Deer Valley. 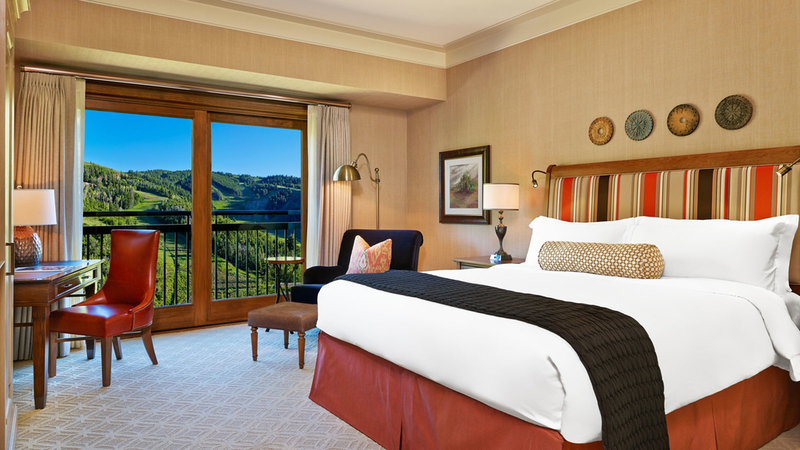 Upscale 177-room mountain resort with ski-in/ski-out access, butler service, ski valets, and a Remede Spa. A polished mountain-modern design that's fresh and distinctly free of dark wood, saturated colors, and antler chandeliers. More than 200 pieces of original art displayed throughout the hotel, including a commissioned mural in the bar by Phillip Buller that depicts Park City's mining history. Chef Jean-Georges Vongerichten's J&G Grill offers exceptional views and farm-to-table cuisine; the nearby St. Regis bar buzzes from après ski through closing. A heated terrace with a huge fire pit and an outdoor heated two-tier pool with hot tubs and mountain views. Organized family activities include yoga, hiking, and nightly sm'ores. Elite Explorers is an afternoon activity camp for kids aged 5 - 12. Guestrooms (king or two queen beds) and suites are classified by view; some have gas fireplaces and Juliet balconies. Deluxe suites (900 square feet) are best for families and have separate bedroom with en-suite bathrooms, living rooms with sofa beds and fireplaces, and full kitchens. Two- and three-bedroom residences are located on higher floors. The maze-like layout means lots of walking to get from one end to the other, and a funicular ride to access shuttle service. It's a 10-minute drive from the action of downtown Park City, but the hotel offers complimentary car service. Book well in advance to score a room during the school vacations.